In New Jersey, at Khan Family residence, Kamala Khan was having breakfast with her family and was thinking about prior events that took place three days ago while her father Yusuf Khan asks her why is she not out much lately. She recalls her last mission with The Avengers at Queens, when she was busy balancing a derailed train as Giant Girl in the middle of a fight against Wrecking Crew. She managed to save hundreds of passengers of that train while Sam Wilson and Jane Foster smites Thunderball and Piledriver of the gang down as Captain America and Thor. As her teammates wrapped things up after taking down the bad guys, she asks them about their agenda on battle damage nearby and how their fight is constantly disrupting civilian lives. Vision agrees with her and points out how people are angry at them because of their recent internal skirmish. They needs to earn that trust back. Her argument on the topic with Captain America has proved his points invalid to her as Ms. Marvel leaves the team while Jane Foster's Thor shockingly watched an Avenger quit again. Being bored sitting in home, she called her friends Miles Morales and Sam Alexander to meet her. At George Washington Bridge, when Miles and Sam showed up as Spider-Man and Nova, they thought Ms. Marvel was about to request them to re-join The Avengers but she reveals that she already quit. Kamala explains to them that they should be forming a team who actually cares about super-heroics and can make an actual difference. 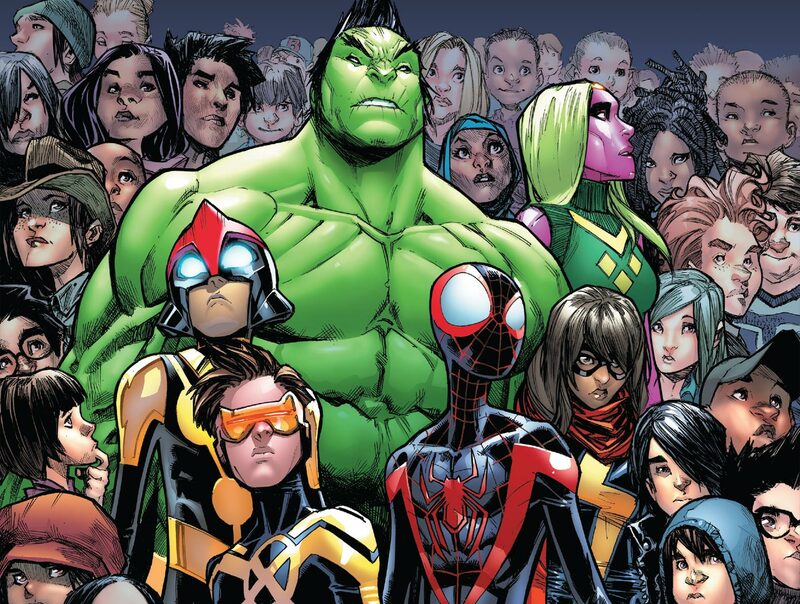 Miles suggests enlisting extraordinary young hero Amadeus Cho AKA Totally Awesome Hulk to their team. Cho was inside a Kentucky hills coal mine at that time for a rescue mission, where Ms. Marvel, Nova and Spidey showed up to lend their hands. With some coordinated plan, there four successfully rescued the miners trapped inside and Cho then vouched for his gaming partner Viv Vision to be included as well. Riding in Cho's Meat Wagon, they all reached at Vision's house and Amadeus explains to the three ex-Avengers how they need to tap into worldwide events to get involved. He suggested making Viv as their personal trouble-alert because of her built in Wi-Fi multiprocessors. To demonstrate her ability of filtering urgent problems from web, Viv picked up footage of captive girls in a cargo seeking help. They all quickly rushed to the source of that video transmission to confront a demented clown called Pagliacci with his crews to stop them from deporting those captive girls. After they successfully foiled his attempt of human trafficking, Kamala announces themselves on behalf of her friends as The Champions by handing Pagliacci over to authorities. 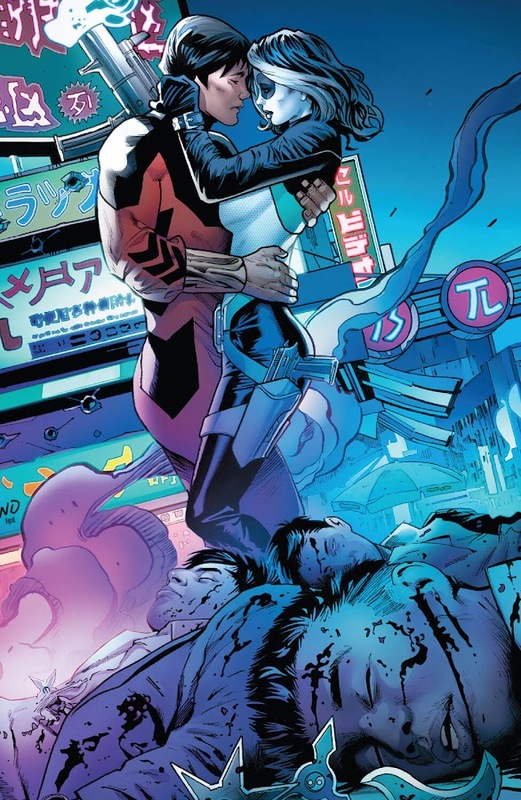 However, while they celebrate their first victory and there is more to come, there is one more member to add to their ranks who is none other than a time displaced young X-Men leader Cyclops. Here is your links to buy "Champions – Change The World" from Marvel Comics in issues on Amazon. 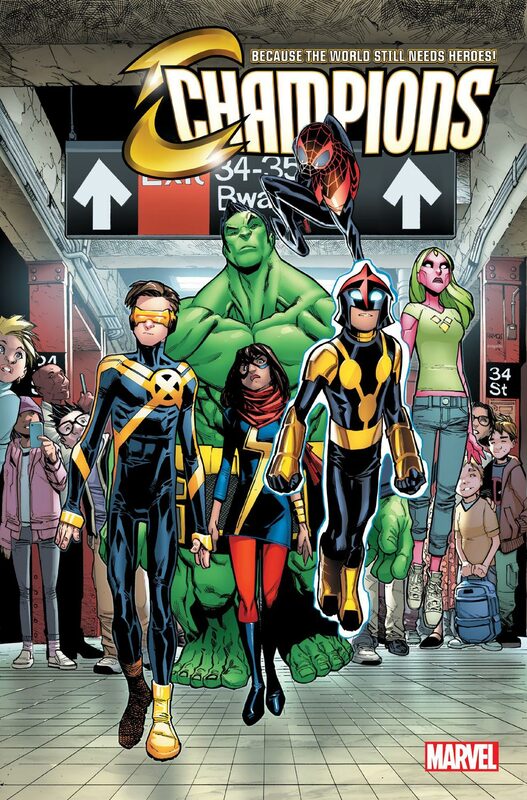 Here is your links to buy "Champions – Change The World" from Marvel Comics on Amazon. 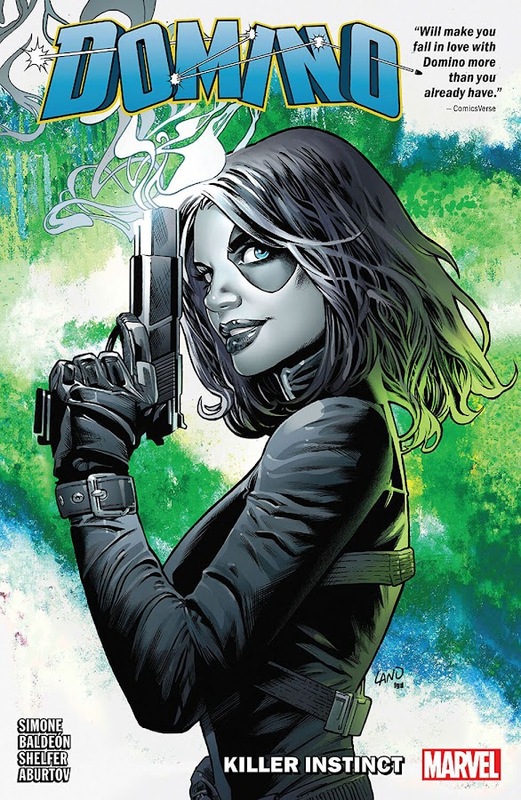 Plotted by veteran writer Mark Waid (Spider-Man – Clone Saga, Spider-Man – House of M) and illustrated by artist Humberto Ramos (Crimson, Revelations), "Change The World" is the first story arc of second monthly ongoing volume of Champions comic-book series, collecting issues #01-05 from Marvel Comics. 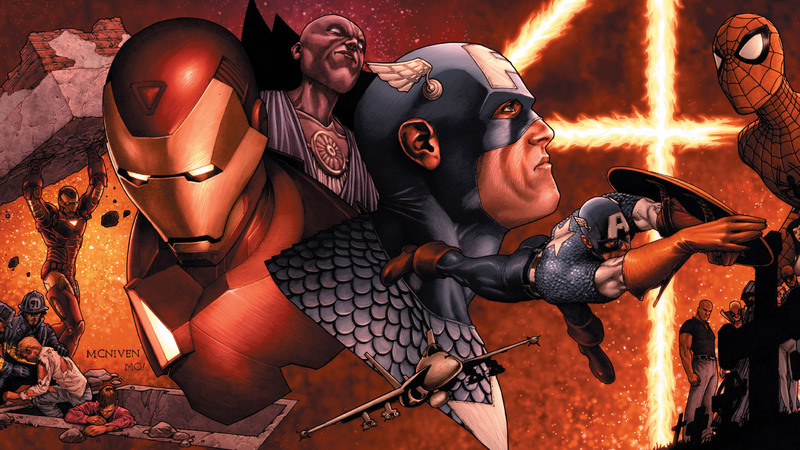 Part of 2016's Marvel NOW! event, this ongoing series is a re-launch of former incarnation of the super-hero team of same name, previously formed by Angel, Black Widow, Ghost Rider, Hercules and Iceman. Marvel was aiming at a soft-toned series formed with ambitious young heroes of next generations and Champions was their solution. 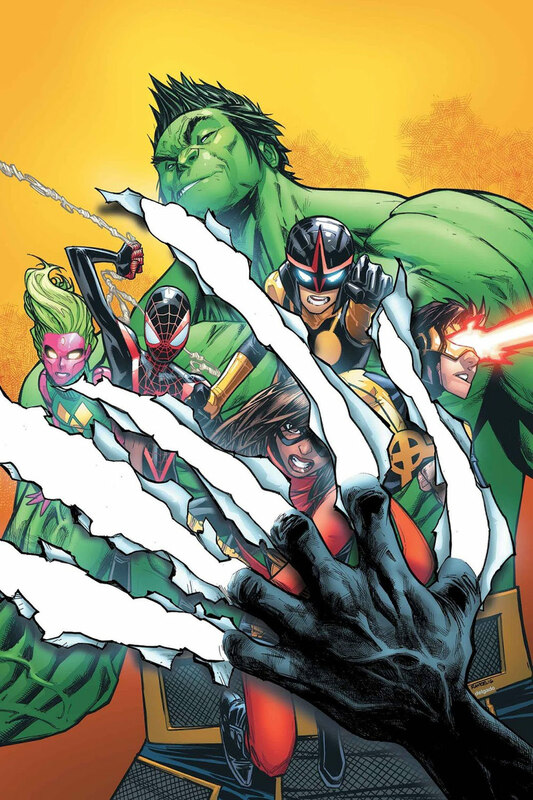 The new roster of team Champions includes a young Cyclops, Giant Girl, Nova, Miles Morales as Spider-Man, Totally Awesome Hulk and Viv Vision, who embarks on a couple of mission that delivers some strong messages for their young audience. Set in aftermath of Civil War II, this story also features cameo appearance of Gwenpool, Joaquin Torres' Falcon, Redwing, Riri Wiliams, Nadia Pym's Wasp, Moon Girl and Devil Dinosaur. 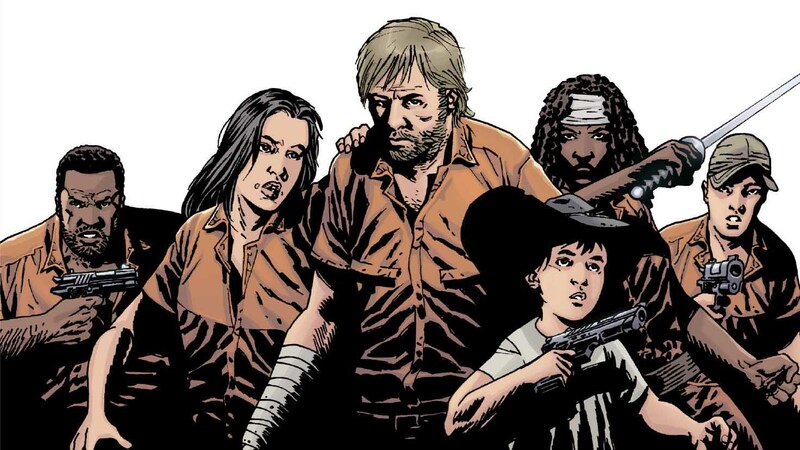 A lot of groundwork was laid out to re-start this team and unlike their early predecessor, these young heroes are showing exceptional promise to shine and prosper before Marvel decides to cancel the series in foreseeable future.